This is the first book I’ve read by Sandra Gulland, and I’m hooked! Indeed, what is not to love in this portrait of 17th century France? First, I thought the perspective chosen by the author worked extremely well: to speak about the court and the affairs going on around king Louis XIV and his famous mistress Athénaïs de Montespan, she chose as her narrator someone who starts as basically a nobody. Claudette has a very poor childhood, wandering through France with the small remnant of their family’s acting troupe. They even sleep in caves. Her world clashes significantly with the one of a little girl she meets. Claudette is fascinated though. After many adventures, she will end up the seamstress and eventually the maid of that girl, who turns out to be Athénaïs. Claudette finds herself swept in a different world, with values not her own. At one dangerous point, she will have to choose which set of values to follow, to the risk of her own life and the life of those she loves. What will she do? But Claudette is actually someone history remembered. She was Claude de Vin des Œillets, known as Mademoiselle des Œillets (Provence 1637 – Paris, May 1687), daughter of actors Nicolas de Vin and Alix/Louise Faviot. Even Louise de Maison-Blanche (1676-1718) (you will have to read the book to know who this important person is) is still known today. The world of the stage allows the author to expand a lot on the topic. The 17th century was extremely rich in that respect in France, with the famous playwrights Corneille, Racine, and Molière. I enjoyed very much seeing the conflictual relationships developed between these authors and their companies, on the background of the relationship with the Church, especially the fanatic Company of the Blessed Sacrament, an extremist secret society which was then very active in censoring theater. On the other side, you have an inkling into Black Magic with Athénaïs crazy ceremonies when the King started looking towards younger ladies; and the infamous Catherine Monvoisin, or Montvoisin, known as “La Voisin” (c. 1640 – February 22, 1680:burned at the stake for witchcraft), a French fortune teller, poisoner and an alleged sorceress, one of the chief personages in the affaire des poisons, also present in the novel. You also see the appalling poverty and misery of the 99% at the time. France was quite dirty and smelly at the time, including at the court of Versailles. The descriptions in the book give a very good idea about what it must have been to live in those times and conditions. The collapse of Pont Marie in Paris is an amazing passage on that theme in the novel (chapter 12). Besides, France was far from being united linguistically: many local patois were used, making it difficult for the inhabitants of a city to be understood by the inhabitants of the next city or village. I enjoyed very much the characters. They are described with real depth, you can really feel you know their personality and their struggles, from the all attentive Claude, to her disabled brother, to the terrible insufferable character of Athénaïs. The King looked sometimes like a puppet under her influence. It was interesting to see how these people were presented in this novel and in The Hurlyburly’s Husband, by Jean Teulé, recently published and reviewed. Two very different perspectives, one French, one American, on the same court and the Montespans. In her own way, each of the two women is a shadow queen. This line allows also to think along the metaphor of court as a stage, so un-real compared to the regular life of all others. VERDICT: This magnificent well-researched portrait of 17th century France, from the very poor, to the world of theater, to life at court, is a welcomed change in historical fiction. The world can be a stage, and your choice of characters will have consequences on how you find happiness. Claudette’s life is like an ever-revolving stage set. From an impoverished childhood wandering the French countryside with her family’s acting troupe, Claudette finally witnesses her mother’s astonishing rise to stardom in Parisian theaters. Working with playwrights Corneille, Molière and Racine, Claudette’s life is culturally rich, but like all in the theatrical world at the time, she’s socially scorned. A series of chance encounters pull Claudette into the alluring orbit of Athénaïs de Montespan, mistress to Louis XIV and reigning “Shadow Queen.” Needing someone to safeguard her secrets, Athénaïs offers to hire Claudette as her personal attendant. Enticed by the promise of riches and respectability, Claudette leaves the world of the theater only to find that court is very much like a stage, with outward shows of loyalty masking more devious intentions. This parallel is not lost on Athénaïs, who fears political enemies are plotting her ruin as young courtesans angle to take the coveted spot in the king’s bed. Indeed, Claudette’s “reputable” new position is marked by spying, illicit trysts and titanic power struggles. As Athénaïs, becomes ever more desperate to hold onto the King’s favor, innocent love charms move into the realm of deadly Black Magic, and Claudette is forced to consider a move that will put her own life—and the family she loves so dearly—at risk. 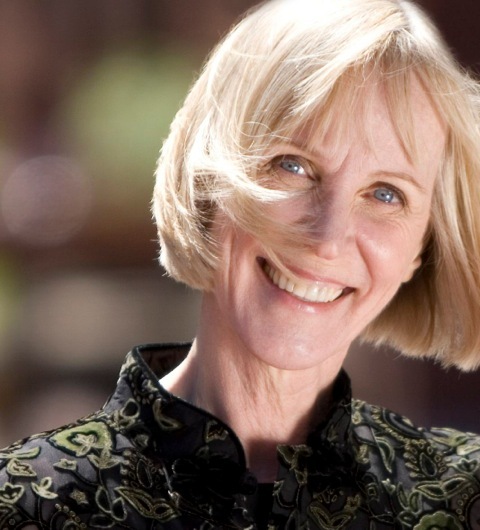 Sandra Gulland is the author of the Josephine B. Trilogy, internationally best-selling novels about Josephine Bonaparte which have been published in over seventeen countries. Her forth novel, Mistress of the Sun, set in the 17th-century court of the Sun King, was also a bestseller and published internationally. 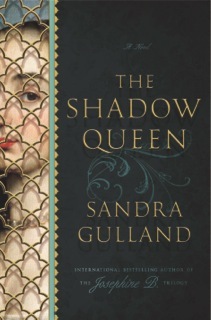 Her most recent novel is The Shadow Queen, also set in the era of the Sun King, published in April of 2014 by HarperCollins in Canada and Doubleday in the U.S.
AND GET MORE CHANCES TO WIN THE BOOK! This entry was posted in Fiction, France Book Tours, Giveaway, Historical novels, I Love France, Quotations, Reading Challenges and tagged Athénaïs de Montespane, Corneille, Louis XIV, Sandra Gulland, Sun King by WordsAndPeace. Bookmark the permalink. I haven’t yet read a novel about the Sun King. I am regretting this oversight immensely. time to win this then! I don’t recall any novel relating to that topic. This book sounds intriguing, I’ve added it to my never decreasing TBR. Gosh, I’m not sure I’ve read any historical fiction that was primarily based in France, let alone that focused on the reign on the Sun King in particular. Oh wait, I have read a couple of Marie Antoinette-related novels. Still, most of my reading in this beloved genre has been too focused on British and American history. 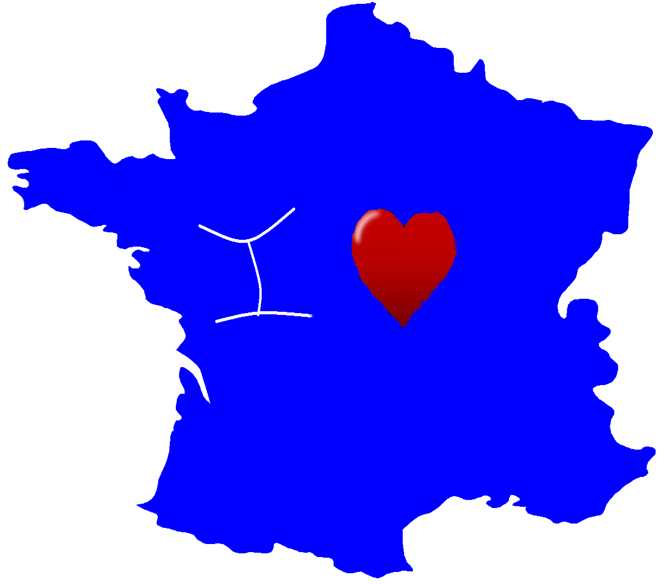 yes, there’s a lot of great histfic set in France! Fantastic review as always, Emma. Book sounds very good. Stopping by from Carole’s Books You Loved May Edition. I am in the list as #46 and 47. My book entries are below. There are three giveaways on my blog as well – two until May 8 and one until May 18. I’m glad you enjoyed this too! I thought it was very cool that even though the narrator wasn’t nobility she was someone who actually existed and in general I loved how rooted in historical fact this book was.